While getting help is most often the best way to overcome an addiction, many addicts are often reluctant to attend a drug addiction centre to overcome the problems they face. Drug abuse is widespread and is a problem that affects countless people worldwide. No one is immune to the dangers of drugs. Addiction affects all kinds of people, from all kinds of demographics. If you or a loved one is struggling with a drug addiction problem, it’s important you know you’re not alone. Falling into the trap of addiction is easy. Abuse turns into dependency, which can quickly turn into addiction without even realizing it’s happening. Denial is a huge reason many people don’t seek the help they need. Addiction paints a very skewed picture of life, and often people with even the most severe addictions will deny there is a problem at all. Others might not believe their addiction is serious enough to warrant a trip to rehab. Getting help for addiction though, is always the best choice. No matter what reason someone started using drugs, dependency is something that can happen extremely quickly. When dependency turns into addiction, it can be all but impossible for an individual to find a way out of a negative downward spiral. When a person has fallen victim to drug addiction, signs of their dependency problem might not be noticeable at first. There are slight changes that will happen in a person’s behaviour however, that will indicate a problem with drug use. Following are signs of drug abuse, as well as indications of full-blown drug addiction. All drugs have various effects, but the symptoms of drug abuse are very much alike. If you or someone you love show characteristics of the following, you might want to begin considering different treatment options. The ability to recognise the signs and symptoms of drug dependency is vital. Addiction to drugs can wreak havoc on a person’s life and is something that needs to be addressed immediately. If you suspect someone you love has a problem with drug addiction (or you suffer from substance abuse issues), getting treatment can help tremendously. When going to an inpatient treatment centre, patients will stay at the centre and be monitored the entire time they are there. They sleep, eat, and receive all treatment at the centre. They length an individual will stay in treatment is dependent on their distinctive needs, but most programmes run anywhere from 28 days to six months. Inpatient treatment (also known as residential treatment) removes a person from their immediate environment so the only thing they need to focus on is getting well. An inpatient treatment centre provides the individualised attention that many people trying to overcome addiction desperately need. At an inpatient drug addiction centre, patients will receive one on one therapy, group counselling, and the various treatment modalities designed for successful addiction recovery. Inpatient treatment centres might also use a variety of different healing modalities depending on the specific needs of a patient. Inpatient treatment programmes for drug addiction are often highly structured, with daily therapies and activities planned to accordingly fit a person’s individual requirements in overcoming their drug addiction. At an outpatient treatment centre, the individual will get help with their addiction while living at home. Outpatient treatment is best suited for those who have already had addiction treatment…or for those whose addictions aren’t too severe. This is because a person isn’t removed from their immediate environment. A familiar scene and routine will only increase the likelihood of relapse. Getting outpatient treatment allows a person to continue on with their daily life and responsibilities while getting the help they need to overcome addiction. An outpatient programme can be very beneficial to those who can’t take time away from work or school to attend an inpatient drug addiction centre. Outpatient care is an optimal choice for those who have family responsibilities that need their everyday attention. While what an individual experiences at a drug addiction centre is contingent upon the centre itself, the treatment opportunities and therapies offered at rehab are basically universal. Treatment for drugs at an addiction centre will begin with an evaluation, which is most often followed with the detox process. Detox programmes will vary from centre to centre, and in some cases of severe dependency a medically assisted detox may be recommended. Therapy is a vital part of drug addiction recovery. The ability to talk to a professional about the issues an individual has is one of the best ways to begin to move through their problems. Drug addiction is an extremely complex condition that will most often require the help of a licensed therapist or counsellor. Not only does therapy help a person to better understand the reasons for their addiction, but it can help them better understand addiction itself. Having knowledge about your problem is the first step to overcoming it. 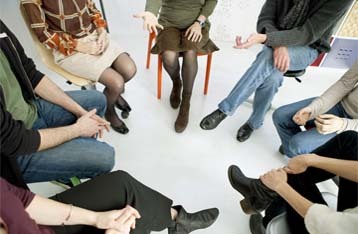 Group therapy is something else a person attending a drug treatment programme can expect. The ability to connect with others that share a similar experience can offer the connection many people overcoming drug addiction need. Talking in a group setting can help an individual know they’re not alone as they go through the treatment process. Understanding that others are going through the same thing can be lifechanging when it comes to recovery. Different treatments are also offered to people who attend an addiction centre to overcome their substance abuse issues. While therapy is undoubtedly vital in the recovery process, different modalities of therapies designed to help addicts overcome their problems are a large part of drug addiction treatment. Cognitive Behavioural Therapy (CBT) is a commonly used therapy in a variety of drug addiction centre programmes. CBT works by anticipating problems that may arise and offering different coping strategies that will help an individual overcome them. These coping strategies will be necessary when they leave treatment and are faced with situations that make them want to use drugs. People attending treatment will also receive an education about addiction, which is something that can help tremendously. Learning the fundamentals of addiction, including those issues that are critical to avoiding relapse…and how to recognise and evade the triggers that cause it. Another treatment aspect of getting help for addiction might involve attending 12-step meetings such as Narcotics Anonymous (NA) or Alcoholics Anonymous (AA), depending on the nature of a person’s addiction. The key ideas surrounding 12-step programmes include acceptance of the current state of addiction, surrender to a higher power, and the willingness to participate in regular meetings that revolve around the 12-step principles. Countless people have found these meetings to help sustain long-term sobriety. Some sort of physical activity is something most inpatient treatment centres provide. Drugs don’t only destroy a person’s mind. Addiction to drugs can also wreak havoc on a person’s physical health as well. Restoring harmony and balance to the physical body is vital for those overcoming an addiction to drugs. Holistic healing modalities such as yoga and tai chi have become popular options for rebuilding physical strength and wellbeing. Other options might include cardio classes, strength training, swimming, and more. Everyone with an addiction to drugs deserves the opportunity to overcome it, no matter what their financial situation may be. While initially looking at various treatment options might seem out of reach because of a person’s financial situation, there are several insurance providers who will pay for a person to receive the help they need at a drug addiction centre. Public healthcare insurance usually covers outpatient treatment, but in some cases may cover a person’s stay at an inpatient centre. If you or your loved one is covered by a private insurance company, there may be the ability for funding towards an inpatient centre. If you don’t have private insurance, this doesn’t mean there aren’t options for you or a loved one to go to the inpatient drug addiction centre of your choice. Getting help from family or friends, taking out a personal loan, or inquiring about payment plans at a treatment centre are all options when a person wants to get help for their addiction, but doesn’t have insurance that will cover it. We’re happy to help talk you through the various options you have and are here to answer all your questions. Many people who are looking to get treatment for their drug addiction wonder if they need to detox before attending a programme. Whether they’re unsure if a facility offers detox or they believe it is necessary before entering a programme, the question of detoxing before rehab is a common one. Some people will try to detox at home before attending an addiction centre. Depending on the severity and nature of a person’s addiction, this can be very dangerous. Some of the more serious cases of physical withdrawal will require a medically supervised detox, which is something most often done at the treatment facility. Going through detox under the supervision of a professional is not only safer, but can prove to be lifesaving in the face of complication from physical withdrawal. People who try to detox on their own are most often unsuccessful at this endeavour. This is because the physical withdrawal of drugs is one of the most difficult aspects of the recovery process. Waiting to detox with the support of a fully trained staff of medical professionals ensures a person makes it through physical withdrawal so they can get the psychological treatment they need. While there are countless questions concerning whether a rehab will be right for an individual, one that is common is whether an addict should attend a local treatment centre or travel to afar to receive the help they need. Should You Choose a Local or Nationwide Rehab? As with many questions regarding addiction treatment, this is often an answer completely dependent on the individual. However, many professionals in the field of addiction recovery agree that going away for treatment is often the best answer. Getting treatment close to home doesn’t remove an individual from the environment they are accustom to abusing drugs in. Not only can this make it more difficult to avoid triggers, but can also make it easier for a person to leave the rehab centre if they decide they’ve had enough. Going into flight or fight mode is common during recovery, which can make the decision to drop out of rehab easy. When a person goes away for treatment however, the decision to up and leave becomes a bit more difficult to make. Travelling afar to get treatment for drug addiction is often the best decision a person can make. If their life allows for them to be away for an extended period, travelling for rehab can be extremely beneficial. Because going away for addiction treatment gets a person out of their regular environment, there are fewer distractions to get in the way of their recovery. All a person has to focus on during their time at a drug addiction centre is getting well. There is no external influence to impede the healing process. There are however, a number of reasons that can keep a person from travelling for addiction treatment. For those with family responsibilities to attend to while getting help for their addiction, staying close to home obviously makes the most sense. This also holds true for people who must continue to work or go to school during the treatment process. 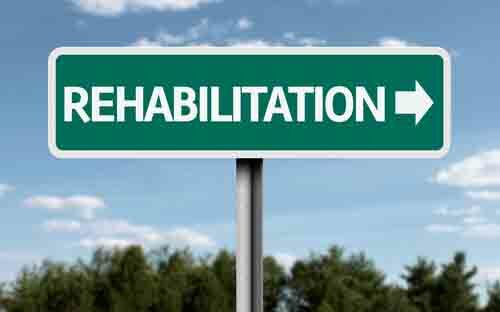 Most people that go to outpatient rehab will stay close to home. It is more common for people attending an inpatient facility to travel afar. Should You Go to a Residential or Outpatient Centre? Another major decision in choosing a drug addiction centre is whether to get inpatient treatment or receive outpatient care. Again, this is something dependent on your own unique situation and needs. People with severe addictions most often benefit from an inpatient experience. Individuals who have attended rehab in the past, people who have addictions that aren’t as serious, or those who must attend to other responsibilities are likely to benefit from an outpatient programme. When a person is dealing with a critical addiction (such as one to heroin or prescription opiates), it’s often vital to get inpatient treatment. Because an inpatient centre requires a person to stay at the facility and removes them from their familiar surroundings, they are less likely to relapse during the recovery process. Severe addictions need specialised attention, which is exactly what a person will receive when attending an inpatient rehab centre. For people with addictions that don’t require critical attention, an outpatient centre should benefit their recovery needs. Outpatient treatment is also a good choice for people who have other responsibilities to attend to while getting help for their addiction. Knowing what has worked for others can be of tremendous help when making your final decision. Inpatient rehab is best suited for moderate to severe addiction and offers more options. Outpatient treatment is good for those with mild cases of addiction, people who have attended rehab before, and those that must stay close to home while going to rehab. We know that making the decision to get help with addiction isn’t easy. Dealing with a drug addiction is emotionally, mentally, and physically draining whether it is you who has a problem or you have a loved one who does. Getting treatment however, can give a person their life back. We’ve got direct access to countless drug addiction centres and the counsellors that serve them. Please call us directly at 0203 553 0324 for immediate confidential help and advice so you can see the success you deserve in overcoming your addiction for good.